Horse riding is an ancient art with classical origins the principles of which remain as relevant today as in ancient times. The challenge for us at Cedar Crest is to convey the skills which have been developed over centuries to a new generation of riders, in a safe, informative and progressive fashion. Our in-depth, holistic approach ensures that students reach a deep understanding of equestrianism, whatever their ambitions may be. With the benefit of wonderful horses and using tried and tested teaching methods we can help riders of all ages and standards progress rapidly. The main tenets of the Cedar Crest model were developed through many years of experience gained at well-known facilities in Ireland, the U.K. and the United States. We believe that the simple application of an established code of correct and ethical practice, with the well being of the horses being paramount, leads to a happy and harmonious equestrian environment. We also believe that riders should be supported in their goals but do not encourage unrealistic expectations that might be to the detriment of the horses. We maintain our approach by ensuring that our staff, horses, facility and training adhere to a high standard of quality. Our knowledgeable BHS-certified staff support the development of riders of all standards in a professional yet friendly environment. 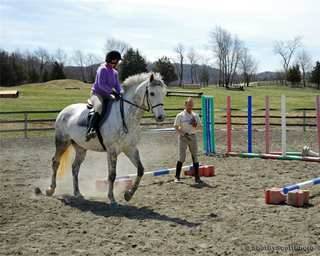 Structured and progressive lessons are designed to ensure that all riders make rapid progress towards their chosen goals. 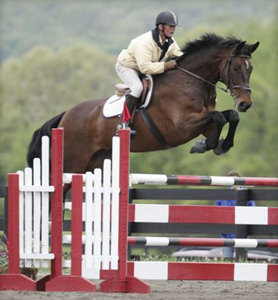 Our talented sport horses, most of which have been imported from Ireland and the U.K., are of a quality that clients seldom have the opportunity to experience elsewhere. Our extensive and well-planned facilities complement our approach and help to expedite the learning process, whilst the relaxed non-competitive atmosphere ensures that the learning experience is fun for all involved.